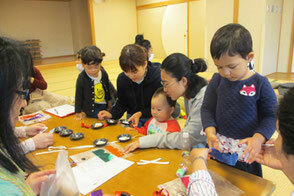 Foreign and Japanese mothers and preschool children spend good time together in a friendly atmosphere exchanging information and introducing their cultures. Foreign mothers and children: No limits. Japanese mothers and children: Up to 5 pairs.